Apart from charcuterie, pork doesn't have much of a place in my kitchen, for no other reason that I just don't think it tastes of an awful lot. However, occasionally pork mince gets a workout in meatballs and recently in burgers for the barbecue. I had a little mince left over and was looking for an idea of how to use it up. 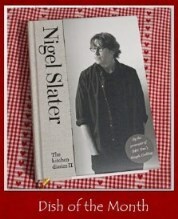 So when in doubt and looking for a little bit of inspiration, as ever I turn to Nigel Slater. This time to Tender, Volume 1, since I also have a glut of courgettes to use up. Since Tender is organised by vegetable, it was only a matter of minutes, page 290 and "baked marrow, minced pork" that I had my recipe. 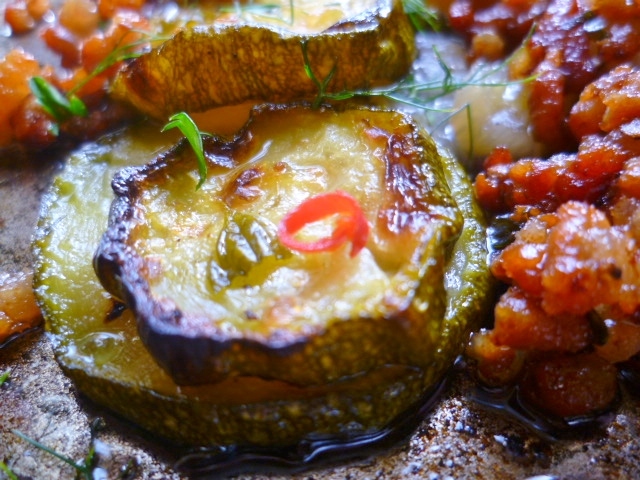 Nigel describes this "a contemporary take on the mince-stuffed marrow". I think of it more as a deconstructed version with Thai-infused flavours of chilli, garlic and lime with a hint of aniseed from fresh dill. But either way, it is probably nicer than many traditional stuffed marrows, which if done badly are soggy and tasteless! Here Nigel roasts his marrow or courgettes first, which prevents the sog-factor and gives far more flavour. Nigel insists (I say "insists" which is probably too strong a word; Nigel gently suggests) that once you've bunged the pork mince into the hot oil that you should leave it to caramelise and crisp up. It seems a bit contrary to what we usually do when cooking mince, but the end result of crisp and golden morsels is incredibly moreish. The added herbs, chilli and lime juice at the end make a perfect summer meal. 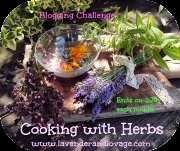 Since this recipe is awash with fragrant dill and peppery parsley, I am a late entry into Karen at Lavender and Lovage's Cooking with Herbs blog challenge. I think the addition of dill in this really adds to both a cooling summery feel to the dish as well as quite a comforting one. Naturally because this is a Nigel Slater recipe, this post is also entered into Janice at Farmersgirl Kitchen Nigel Slater Dish of the Month challenge, jointly hosted by Sue at A Little Bit of Heaven on a Plate. Janice and Sue are challenging you to cook a Nigel Slater recipe every month. Personally, it's not really so much of a challenge since I could probably cook Nigel Slater recipe's ever day of every month! I can't wait to see what everyone else has come up and, as always, some fabulous inspiration! What a great recipe. Thanks for making and sharing this with us for Dish of the Month, we had such a loyal group of Nigel fans! This is not the best way to contact you, but I can't find another. Although my own blog rarely contains recipes, and only sometimes has food as its subject matter, I'm planning a post about my favourite food bloggers. I'd like to include you. I hope this will be OK with you as naturally what I plan to say will be entirely positive.